Up through tomorrow (December 1, 2011), you may send in your entries for the 2012 Willis Barnstone translation prize. Barnstone himself is the judge. The details are posted by The Evansville Review, the journal that sponsors the $1000 prize and that will publish the winning translated poem. 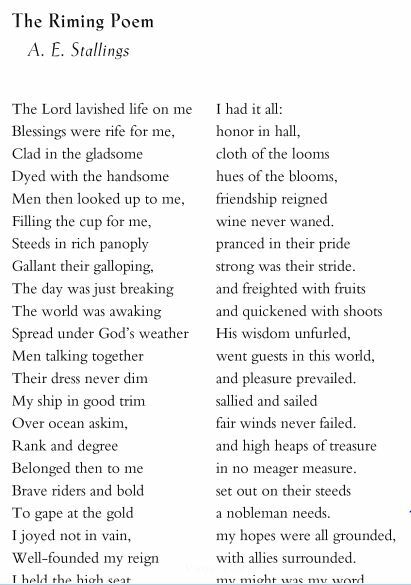 A couple of years ago, Alicia (A. E.) Stallings sent in an entry and won the Barnstone prize. 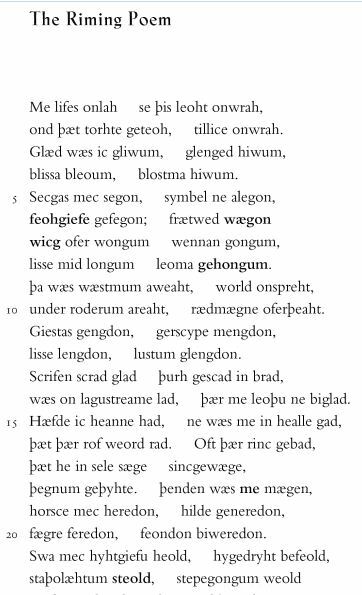 Greg Delanty and Michael Matto also noticed and, the next year, secured permission to publish Stallings’ winning translated poem in their edited volume, The Word Exchange: Anglo-Saxon Poems in Translation. This year, Stallings was one of the recipients of the MacArthur “Genius” Award for more of her work.